Dean Robbins is an award-winning writer based in Madison, Wisconsin. He contributes arts, features, and news stories to publications around the country and reads his cultural commentaries on Wisconsin Public Radio. Dean was also a longtime newspaper editor and syndicated television critic. This is his first picture book. Visit him online at deanrobbins.net. Sean Qualls has illustrated many celebrated books for children, including The Case for Loving by Selina Alko, Giant Steps to Change the World by Spike Lee and Tonya Lewis Lee, Little Cloud and Lady Wind by Toni Morrison and her son Slade, Dizzy by Jonah Winter, and Before John Was a Jazz Giant by Carole Boston Weatherford, for which Sean received a Coretta Scott King Illustrator Honor. He lives in Brooklyn, New York, with his wife, Selina Alko, and their two children. 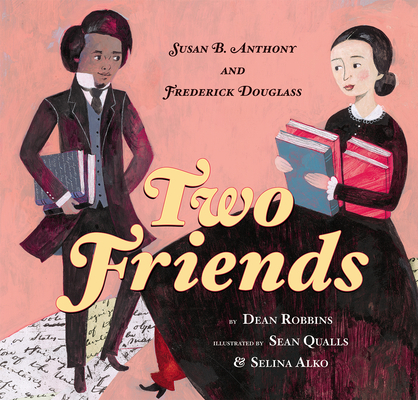 Selina Alko is the author of The Case for Loving, which she illustrated with her husband, Sean Qualls. She is the author and illustrator of several other acclaimed books for children, including Daddy Christmas & Hanukkah Mama and B Is for Brooklyn. She lives in Brooklyn, New York, with Sean Qualls and their two children.